Peter Bryer: Mobile Foresight: Xperia E dual. Another lower-end dual SIM Android smartphone. It's a real market. 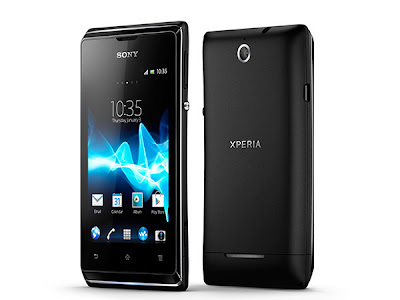 Xperia E dual. Another lower-end dual SIM Android smartphone. It's a real market. There's really not a thing exciting about this smartphone other than the fact that it has a feature that is going to excite a lot of potential smartphone users around the world: two SIM slots. The new "Sony Xperia E dual" runs on a 1GHz single-core Snapdragon processor, which is rather tame by 2013 standards. It has a 3.5-inch HVGA display, ships with Android 4.0 ICS, has a 3.2 megapixel camera, supports HSDPA (not LTE), and ships with 2GB of user accessible storage. No prices provided. Sony says this device will start shipping during Q1 2013. This isn't the first dual-SIM smartphone from Sony, but this is another signal that there's a market developing out there. Many bloggers and news sites say that such devices are great for business people who travel a lot, but in reality, much of the demand is coming from SIM-card jugglers who have become experts in squeezing value from different operators. Dual SIM demand is moving from feature phones to smartphones. All mobile platform vendors should be prepared to double down.